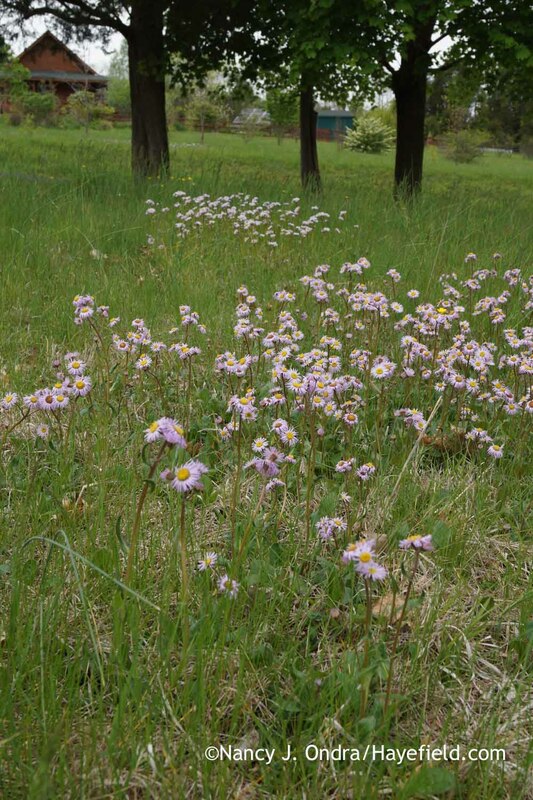 Erigeron pulchellus in a field. ©Nancy J. Ondra/Hayefield. hayefield.files.wordpress.com (Accessed 8/2018). Erigeron pulchellus is a perennial, colonial herb from rhizomes, forming leafy rosettes, plant hairy, stems 15-60 cm tall, soft, hollow. Erigeron pulchellus basal rosette. Arthur Haines. 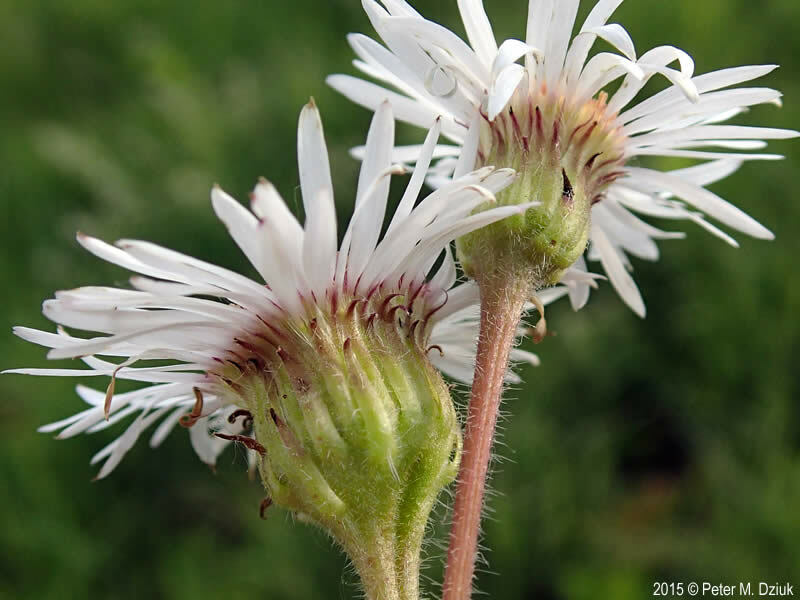 Illinois Wildflowers.illinoiswildflowers.info (Accessed 8/2018). 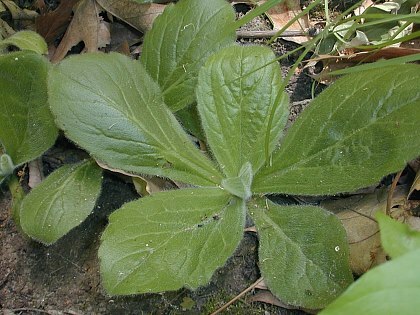 Leaves alternate, often widest above middle, basal leaves narrow to almost round, 2-13 cm long, 0.6-5 cm wide, margins usually toothed, stem leaves few, very reduced upwards, base stalkless, slightly clasping stem. Erigeron pulchellus flower heads. By Arthur Haines. Copyright © 2018. New England Wild Flower Society. gobotany.newenglandwild.org (Accessed 8/2018). Flowers in radiate heads, ray flowers blue, occasionally pink, 50-100, 0.6-1 cm long, 0.1 cm wide, disk 1-2 cm wide, flowers yellow, bracteate base 0.5-0.7 cm tall, 0.6-2 cm wide, bracts in 2-3 rows, hairy (Flora of North America 1993+); blooms April-June. 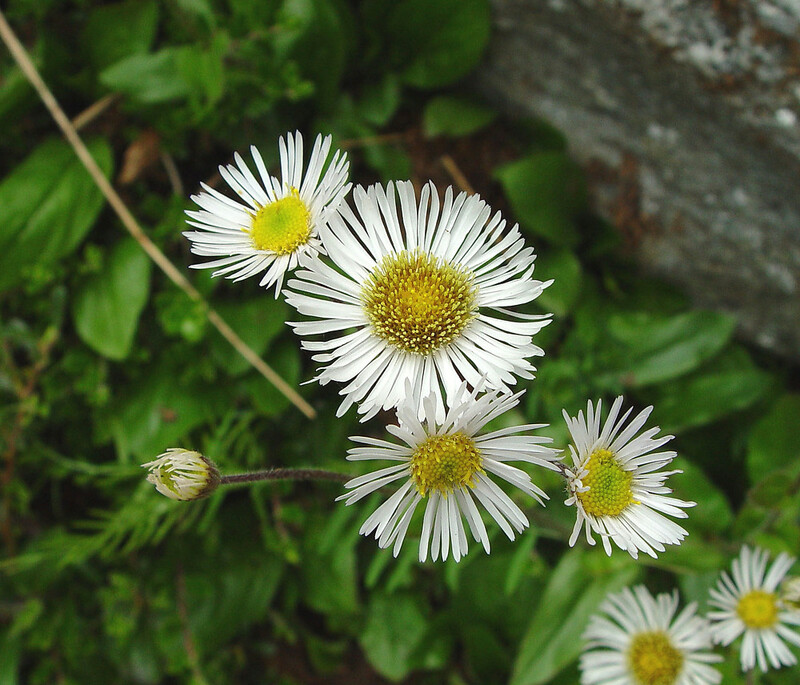 Erigeron pulchellus inflorescence bracts. 2015 © Peter M. Dziuk. Minnesota Wildflowers. minnesotawildflowers.info (Accessed 8/2018). Fruit dry, 1-seeded, ca 0.1 cm long, plumed.